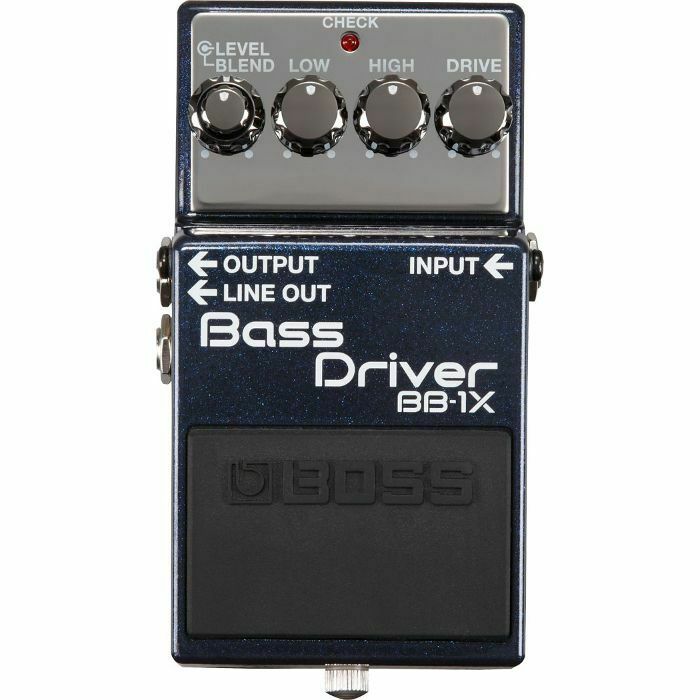 The BOSS BB-1X Bass Driver is a premium stompbox designed to make your bass sound bold and punchy. More than just a standard compact bass pedal, the BB-1X is like a preamp, a crucial component in creating quality sound. 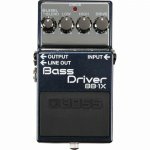 It captures the essence and subtle nuances of your bass, amp, and playing and emphasizes all their best characteristics. Incorporating BOSSâ€™ latest MDP technology, the BB-1X delivers a wide range of superior sounds, from natural clean tones to heavy distortion. It adapts and responds to any playing style or register, but never loses the body and core tone of your instrument. The BB-1Xâ€™s natural-sounding distortion preserves the high definition and dynamics reflected in the finest details of your sound. The BB-1X provides a clear sonic outline to enhance your sound, yet never muffles your low end. With the Blend knob, you can easily adjust your tone by mixing the direct signal with the effect sound. Low, High, and Drive knobs offer an extremely wide range of sound creation. These controls not only shape the frequencies, but change the characteristics of the tone as well. The Line Out jack on the BB-1X goes beyond a standard DI out, providing a newly crafted and enhanced direct sound for reaching larger audiences through a PA system. The â€œ1Xâ€? in the BB-1Xâ€™s name represents the pedalâ€™s premium look, sound, and feel. Whether youâ€™re defining your standard tone or spicing up your sound for soloing, the BB-1X Bass Driver is a must-have for every modern bassist.